As you age and your skin incurs the abuse of daily living (such as sun, stress, pollution), the cell turnover rate slows down. This means that the new cells take longer to form and reach the top. The old cells accumulate and stay on the surface longer. As the stratum corneum thickens and the area of new cells shrink, skin becomes less healthy. You begin to notice those unwelcome signs of aging including: fine lines and wrinkles, freckles and age spots, uneven skin tone, loss of elasticity and loss of natural skin hydration. 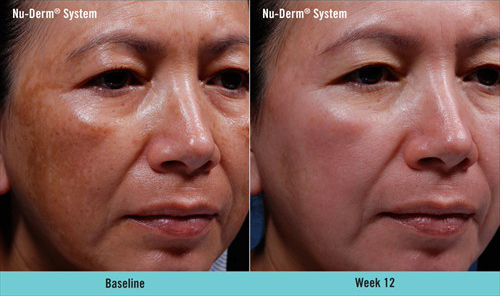 Obagi® Nu-Derm, a doctor-prescribed skin care system, accelerates the cellular turnover. This system penetrates below the skin’s surface to correct damage in all layers of the skin (the stratum corneum, the epidermis and the dermis). It corrects functions of the skin at the cellular level, to Transform skin’s cellular function to help it look and act younger and healthier. 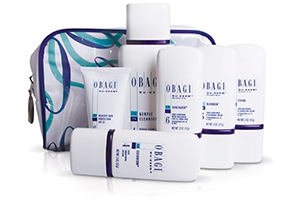 We specialize in Obagi Product Care. For more Obagi information go to www.obagi.com.